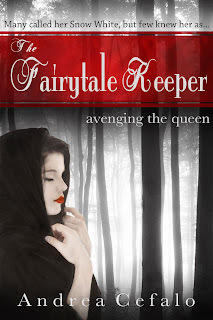 Synopsis: Adelaide’s mother, Katrina, was the finest storyteller in all of Airsbach, a borough in the great city of Cologne, but she left one story untold, that of her daughter, that of Snow White. Snow White was a pet name Adelaide’s mother had given her. It was a name that Adelaide hated until now. Now, she would give anything to hear her mother say it once more. A rampant fever claimed Adelaide’s mother just like a thousand others in Cologne where the people die without last rites and the dead are dumped in a vast pit outside the city walls. In an effort to save Katrina’s soul, Adelaide's father obtains a secret funeral for his wife by bribing the parish priest, Father Soren. Synopsis: A child is dying. 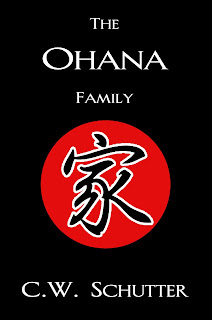 Her life depends on an explosive secret her grandmother has kept from their Ohana (family). As Mary Han wrestles with the toxic revelations, she must finally face the past she fought so hard to forget. 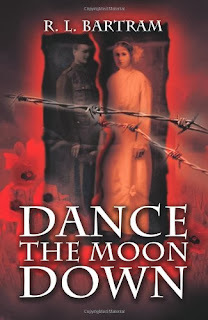 Synopsis: In 1910, no one believed there would ever be a war with Germany. Safe in her affluent middle-class life, the rumors held no significance for Victoria either. It was her father's decision to enroll her at university that began to change all that. There, she befriends the rebellious and outspoken Beryl Whittaker, an emergent suffragette, but it is her love for Gerald Avery, a talented young poet from a neighboring university that sets the seal on her future. Synopsis: A RICH TALE OF PASSION, REVENGE, AND TRAGEDY ON THE CUSP OF THE ITALIAN RENAISSANCE: A FRESH TWIST ON THE BARD’S BELOVED ROMEO AND JULIET. Before Juliet Capelletti lie two futures: a traditionally loveless marriage to her father's business partner, or the fulfillment of her poetic dreams, inspired by the great Dante. 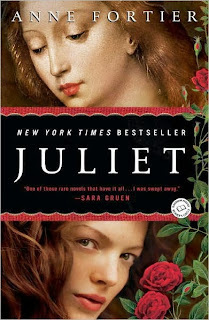 Unlike her beloved friend Lucrezia, who looks forward to her arranged marriage into the Medici dynasty, Juliet has a wild, romantic imagination that takes flight in the privacy of her bedchamber and on her garden balcony. Synopsis: Molly Gregor was not a temperate woman. places her at odds with those closest to her. 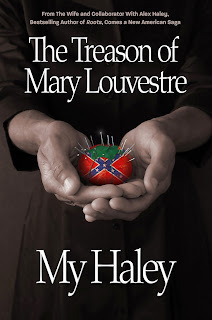 between helping the wayfaring strangers and the cruel prejudices of her neighbors. Will she find the courage to defend these, the least of all people? 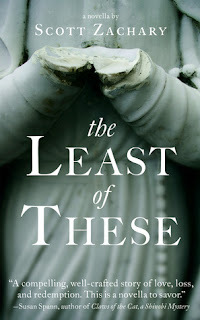 story of questioned faith, restored hope, and the true price of charity. 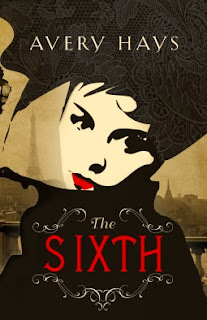 Synopsis: When Julie Jacobs inherits a key to a safety-deposit box in Siena, Italy, she is told that it will lead her to an old family treasure. Soon she is launched on a winding and perilous journey into the history of her ancestor, Giulietta, whose legendary love for a young man named Romeo rocked the foundations of medieval Siena. As Julie crosses paths with the descendants of the families immortalized in Shakespeare’s unforgettable blood feud, she begins to realize that the notorious curse-- “A plague on both your houses!” is still at work, and that she is the next target. 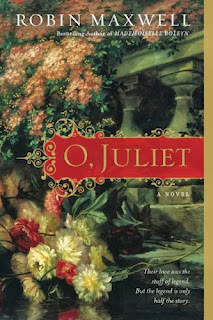 It seems that the only one who can save Julie from her fate is Romeo--but where is he? Synopsis: Florbela Sarmentos is 21 and knows what she wants: art, romance, and to free her father from the prison of Portugal's despotic King Manuel II. Born in Lisbon, educated in London and at a painting academy in Cherbourg, France, the cosmopolitan Florbela moves to Paris and takes up residence in the wildly bohemian enclave of La Ruche, there to pursue a creative life. 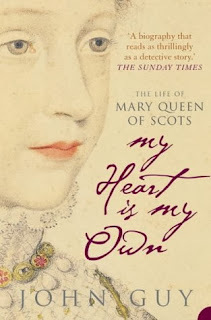 Synopsis:In the first full-scale biography of Mary Stuart in more than thirty years, John Guy creates an intimate and absorbing portrait of one of history’s greatest women, depicting her world and her place in the sweep of history with stunning immediacy. Bringing together all surviving documents and uncovering a trove of new sources for the first time, Guy dispels the popular image of Mary Queen of Scots as a romantic leading lady — achieving her ends through feminine wiles — and establishes her as the intellectual and political equal of Elizabeth I. Source: I got this from NetGalley as an invitation from the publisher in exchange for an honest review. 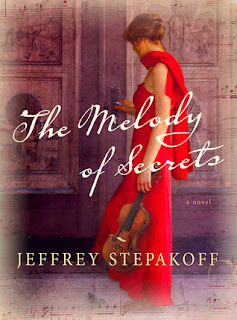 Synopsis: Jeffrey Stepakoff's The Melody of Secrets is an epic love story set against the 1960s U.S. space program, when deeply-buried secrets could threaten not just a marriage, but a country. Maria was barely eighteen as WWII was coming to its explosive end. A brilliant violinist, she tried to comfort herself with the Sibelius Concerto as American bombs rained down. James Cooper wasn't much older. A roguish fighter pilot stationed in London, he was shot down during a daring night raid and sought shelter in Maria’s cottage.